In 2001, a transplant recipient suggested thanking donors and showcasing what they made possible by entering an organ donation-themed float in the Rose Parade. Coming at a time when nearly half of donation opportunities were declined, the celebratory, nationally televised platform was an opportunity to reposition the cause from being associated with death to an affirmation of life. Given the fragmented regional and national community, having a fraction of the required budget, and neither dedicated staff nor volunteers, we were starting from scratch. A cross-disciplinary committee set out to solicit seed funding, create a sponsorship framework and set creative direction. Within 26 months, the committee had enlisted 55 partners, established an operations and public relations infrastructure, onboard 22 float riders, and debuted in the Rose Parade. The following ten years were marked by continuous evolution that added a number of components—dedicated roses, memorial “floragraph” portraits of deceased donors, and living donor walkers—that greatly expanded the number of participating organizations, geographic reach and media coverage. By its eleventh year, the Donate Life Rose Parade Float campaign annually involved 140 sponsors, 2,000 participants and volunteers, 1,200 hospital CEOs, 60 media events, 500 media stories and a $1.1 million budget. The initiative contributed to a 24-point regional and a 20-point national rise in organ donation rates and an enrollment of 11 million and 60 million designated donors in California and nationwide, respectively. The Donate Life float's genesis, evolution and institution is chronicled in the book Hope Blooms: Organ Donation, the Rose Parade, and our Journey to Save Lives. 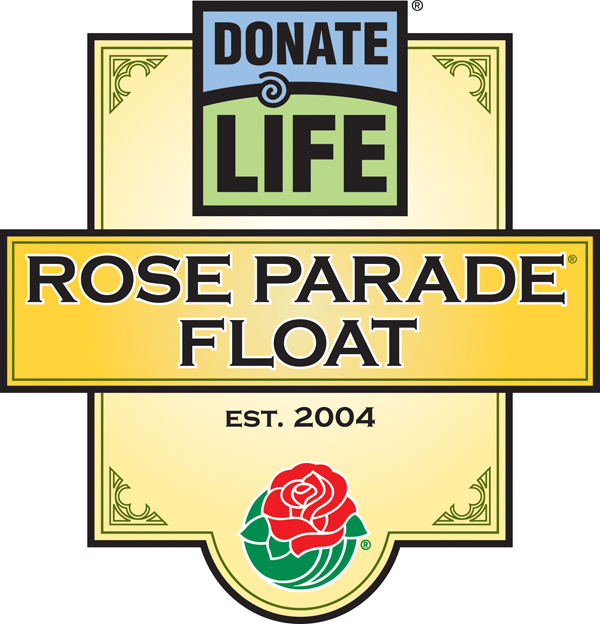 The combination of uplifting float designs, spirited riders and memorial floragraph portraits make Donate Life the most inspiring Rose Parade float participant year after year. The genesis, evolution and institution of the Donate Life Rose Parade Float campaign is chronicled in Hope Blooms. Each year, the Donate Life Rose Parade Float campaign mobilizes scores of organizations that leveraged their sponsorship of float participants to generate local media coverage and energize their constituents.